« Paradise Kiss the movie !!!! Tochigi prefecture has no ocean. But we didn’t have to be sad at all! Kita Kanto Expressway, which goes across Tochigi and Ibaraki pref., took us to Oarai beach in Ibaraki just in an hour. 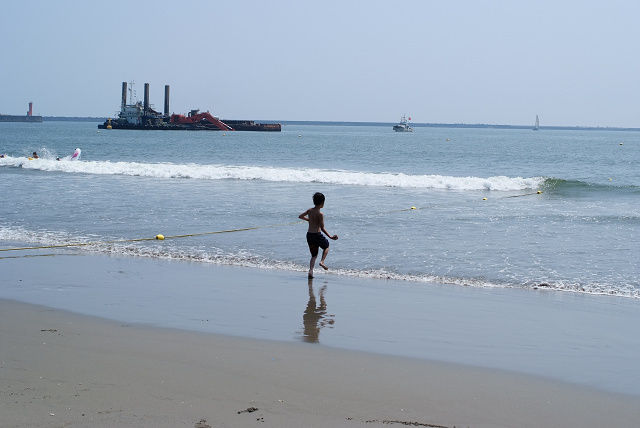 My kids got so happy to play on beach for the first time. 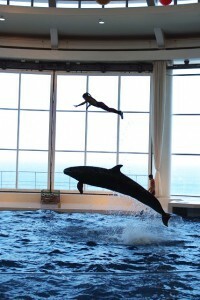 We all got so excited to see live performances of dolphins and California Sea Lions at Aqua World Oarai.